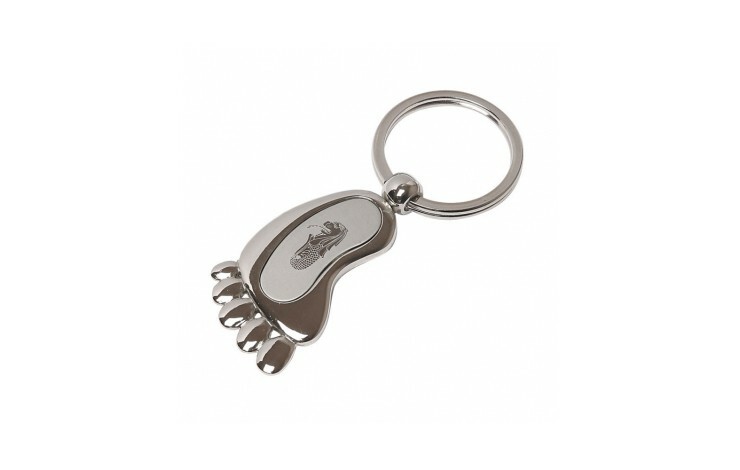 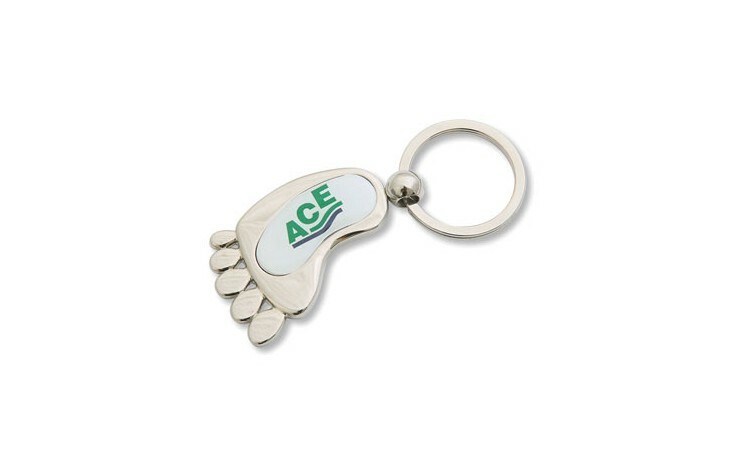 Novel metal foot shaped keyring in gift box. 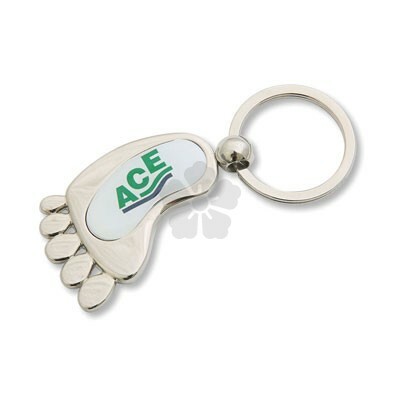 Price includes digitally printed epoxy decal to full colour. 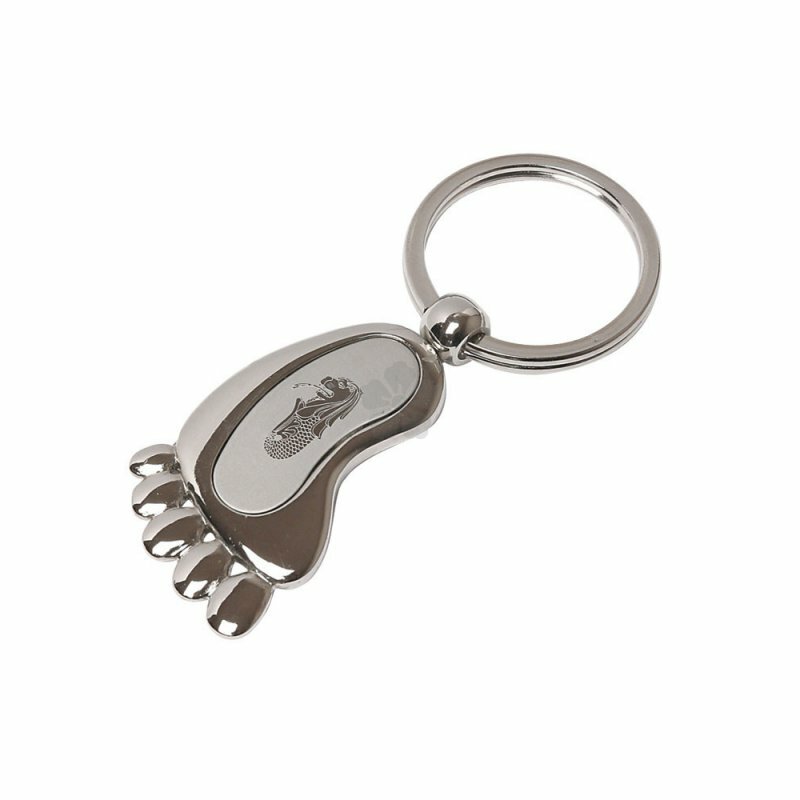 Engraving optional alternative.